Appleseeds Youth Running Club Registration Now Open! The Appleseeds Youth Running Club is a welcoming environment for elementary aged children going into grades 1 through 5 to engage in the sport of running. Whether it be recreational or competitive, we hope to spark an interest in running that will last a lifetime. Diadora - now at 3RRC! We are pleased to announce the newest brand at 3RRC, Diadora! The Diadora running line contains a unique cushioning system called “blueshield” which adapts to the human body and cancels out any natural asymmetries. Come try them out today! Registration is open for the 2019 Pink Ribbon Run! Three Rivers Running Company has been Fort Wayne’s premier locally owned and operated running store since 2004. We are passionate about running, our community, and helping others along their wellness journey. We are the region’s award-winning running store headquarters for walkers and runners alike. 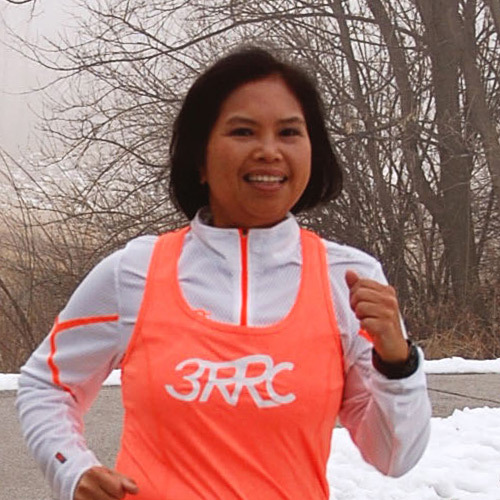 Whatever your level of fitness and goals, 3RRC can get you moving. 3RRC’s personalized study of how your body moves when running/walking to more accurately fit your shoes to your needs. From Adidas to Hoka, we carry a range of core running shoes to performance wear to trail footwear. We’ve got you covered with clothing and accessories to help you safely enjoy your run while being protected from the elements. 3RRC offers discounts for select organizations, college teams, and middle and high school athletic groups. We have customized training programs focused on endurance training and focused on road race and triathlon runners. Drop in for our weekly yoga sessions, schedule a massage, or check out upcoming classes on nutrition, safety, and more.